It's tough for me to look at that picture of Pei Xia Chen, Wenjian Liu's wife and now widow, because of the heartbreak so deep in her eyes. The same heartbreak Jaden Ramos must feel about not having his father Rafael Ramos alive anymore. And it all must be too much too soon. Because life doesn't need to be this way. Rafael Ramos was 40, was a two-year veteran of the NYPD who previously worked as a school security officer. The lifelong Brooklyn resident was married and had two sons, the youngest of whom is 13. 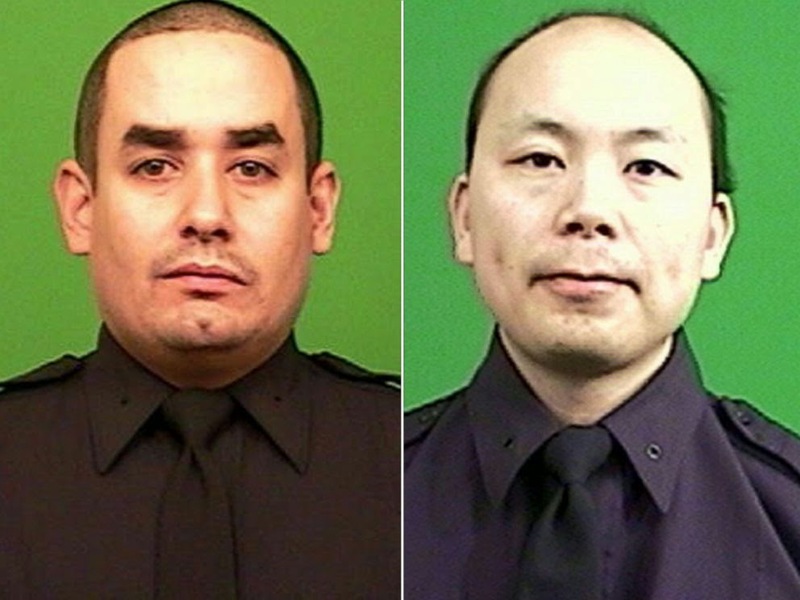 Wen Jian Liu, 32, was a seven-year veteran of the NYPD. He moved earlier this year to Brooklyn's Gravesend section and was married two months ago. 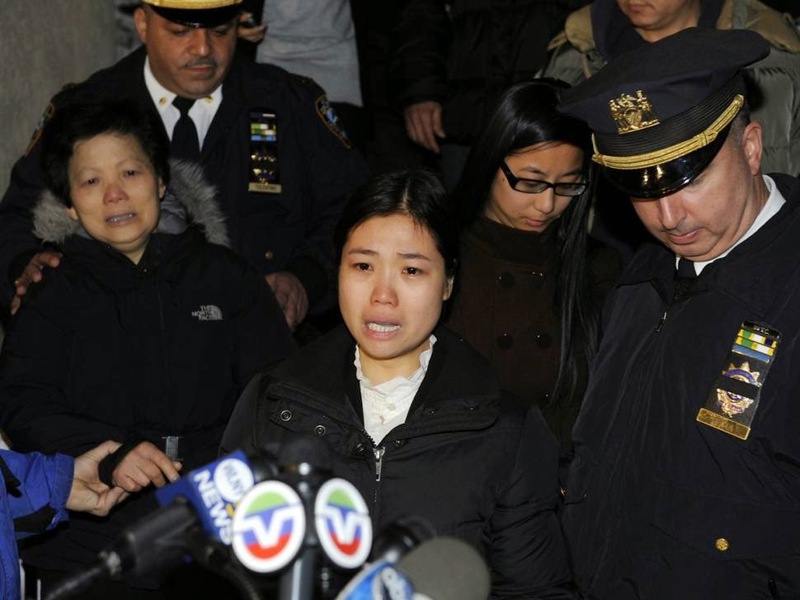 Slain Police Officer Wenjian Liu believed in leading a life of service — and his dedication was evident on the day he was killed: He volunteered to work a fill-in shift when a fellow officer was late. Liu, 32, took the assignment after the cop who was tardy called a desk sergeant at the NYPD’s 84th Precinct in downtown Brooklyn and bosses put out a request for a replacement, police sources said. “He wasn’t supposed to be there,” a cop source said. One was a newlywed, the other a father who recently changed careers to fulfill a lifelong dream of becoming a cop. The NYPD officers shot and killed Saturday in Brooklyn came to the force at different points in their lives but were together in the front seats of a police car when a gunman ambushed them, police said. Walking slowly down the steps of her Brooklyn home, the widow of Officer Wenjian Liu gathered herself and spoke of the husband she married just two months ago. "This is a difficult time for both of our families, but we will stand together and get through this together," Pei Xia Chen said. She also thanked the community for its support. 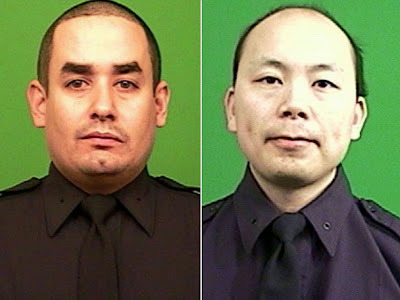 "We would like to express our gratitude and appreciation to the police department, our neighbors and the entire New York City community, friends and co-workers for the help and support they provide," Chen said.